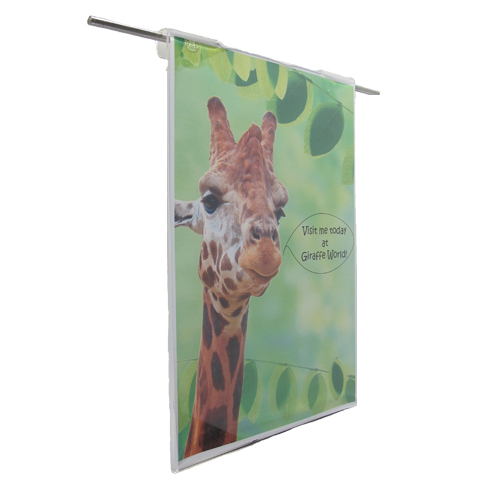 Poster holders fabricated from clear acrylic. 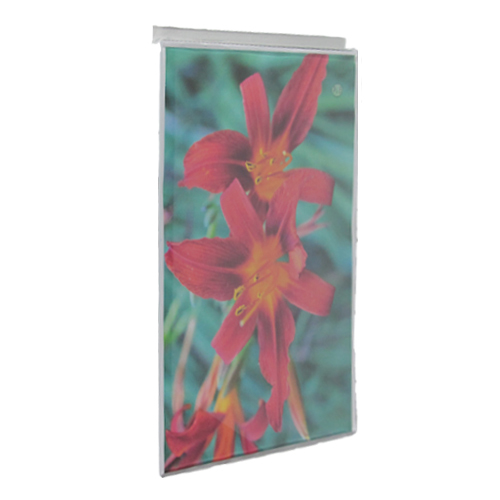 Slatwall poster holders (pockets) are made from 2-3mm clear acrylic, depending on size. 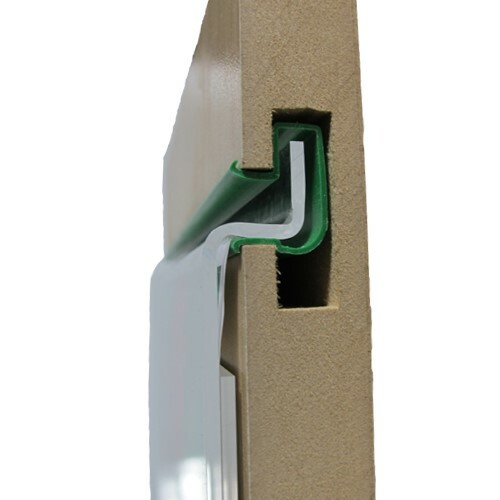 They fit into standard slatwall as shown. 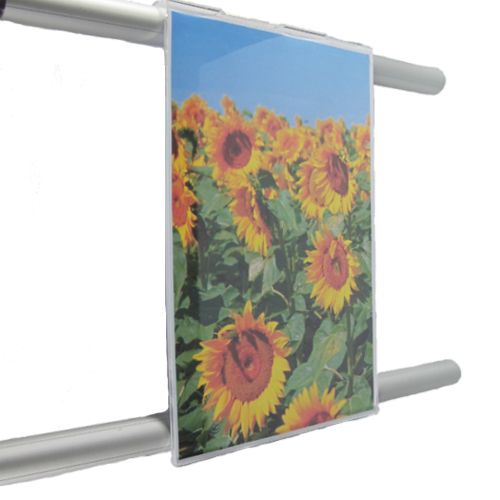 Smaller pockets are folded straight across the whole width of the holder to fit into the slatwall, whereas wider pockets have tabs at either end.